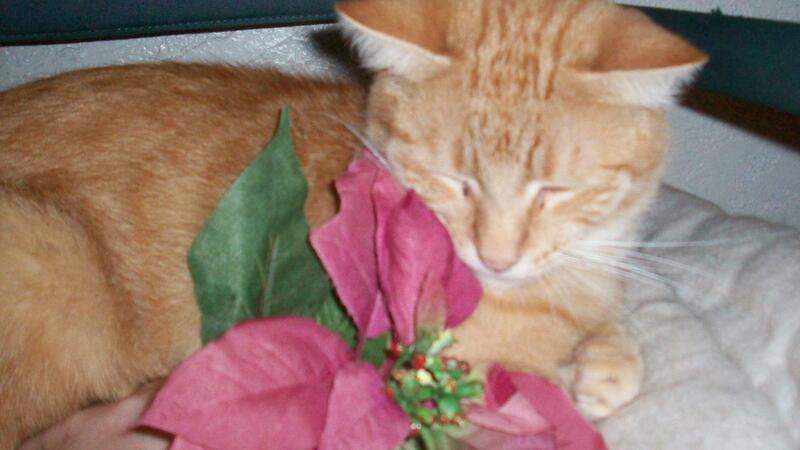 Poinsettia plants are toxic to cats; however, ingesting this plant is not life-threatening to cats and only causes mouth and stomach irritation. In some cases, ingestion of the plant causes vomiting. Poinsettias cause similar issues in dogs. The myth of poinsettias being dangerously toxic arose from a rumor that a child in 1919 died after chewing on a leaf from the plant, according to About.com. In fact, there have been no substantiated claims of fatalities from the plant among pets and children, and fewer than 8 percent of subjects in a study from 1996 involving the ingestion of the plant reported any negative toxic effects. How Is Mange in Dogs Treated With Ivomec? Is Asthma Found in Cats? Can Ringworm in Cats Be Treated With Home Remedies?